The head of the UN Ebola response mission in West Africa has said that there is still a “huge risk” the deadly disease could spread to other parts of the world. Tony Banbury declined to say if targets he had set in the fight against Ebola, to be achieved by Monday (December 01, 2014), had been met. The targets were for the proportion of people being treated and for the safe burial of highly infectious bodies. 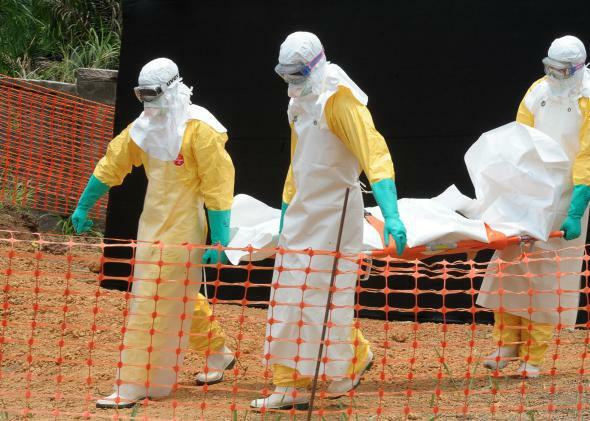 West Africa has seen the worst Ebola outbreak ever. As BBC reports, on Sunday in Sierra Leone’s capital, bulldozers were clearing large areas for a new burial ground. This entry was posted in Abenaitwe Cliff, Ebola, Health, Hunger and tagged Abenaitwe, Abenaitwe Cliff, Africa, diseases.